In selecting the best pearl beads for your beaded necklace or bracelet design, you’ll want to use the same criteria you would when buying fine jewelry. Luster: Look for a deep, warm glow to give your designs the richest look. Surface: Check for scratches, cracks, spots, bumps, or other blemishes. Shape: Cultured fresh-water pearls for jewelry making are available in a variety of shapes, like round, oval, baroque, keshi, button, and biwa. 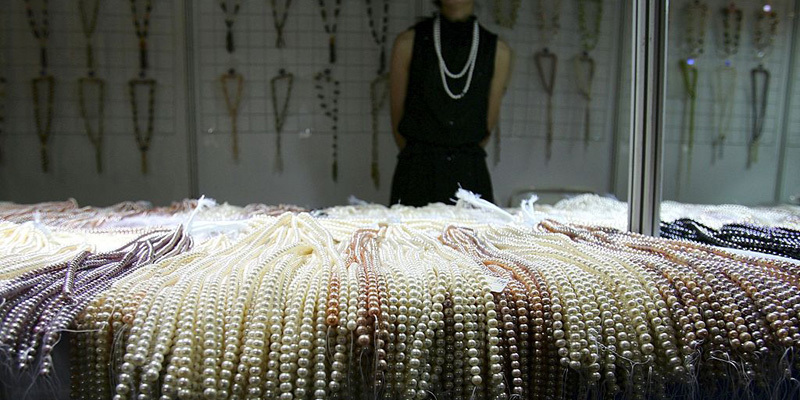 Color: Traditional colors include white, cream, rose, gold, blue-gray, and black; cultivated pearls come in almost any shape or color, but be careful when purchasing pearl beads that have been dyed, as the color may fade or rub off. Size: Like most gems, the bigger the pearl, the more expensive. Fortunately, many fun synthetic options exist today, such as Miyuki’s cotton pearls and Swarovski’s crystal pearls. Like any fine jewelry, pearls require special care. 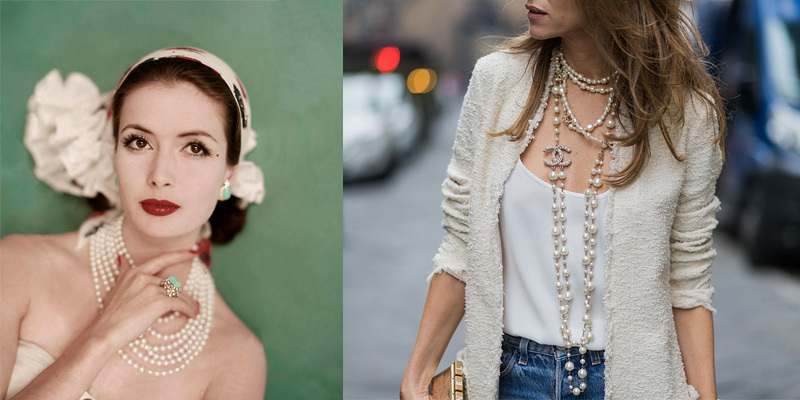 Here are a few tips to keep your pearls looking their best. 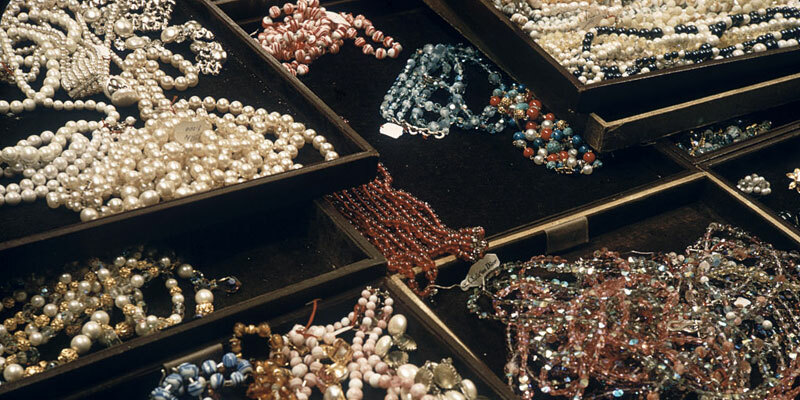 Storage: To avoid scratching the surface, avoid placing pearl jewelry next to jewelry or other objects with sharp edges. A silk pouch or separate compartment in your jewelry box is ideal, but remember—pearls need the moisture in the air to maintain their lustre, so airtight storage is not recommended. Cleaning: Pearls don’t require anything other than a dry or damp soft cloth. However, any acidic substance will damage your pearls, so if they’ve been exposed to perfume, for example, you’ll want to wash them using a bar of plain soap and water (not detergent) to prevent discoloration. Stringing/Restringing: The classic method is to string pearls on silk thread with a knot between each in order to prevent rubbing and to keep each one secure should the thread break. Depending on how much you wear your pearls, you will likely need to restring and reknot your pearls every couple of years. Now that you know how to select and care for your pearls, why not put them to use? 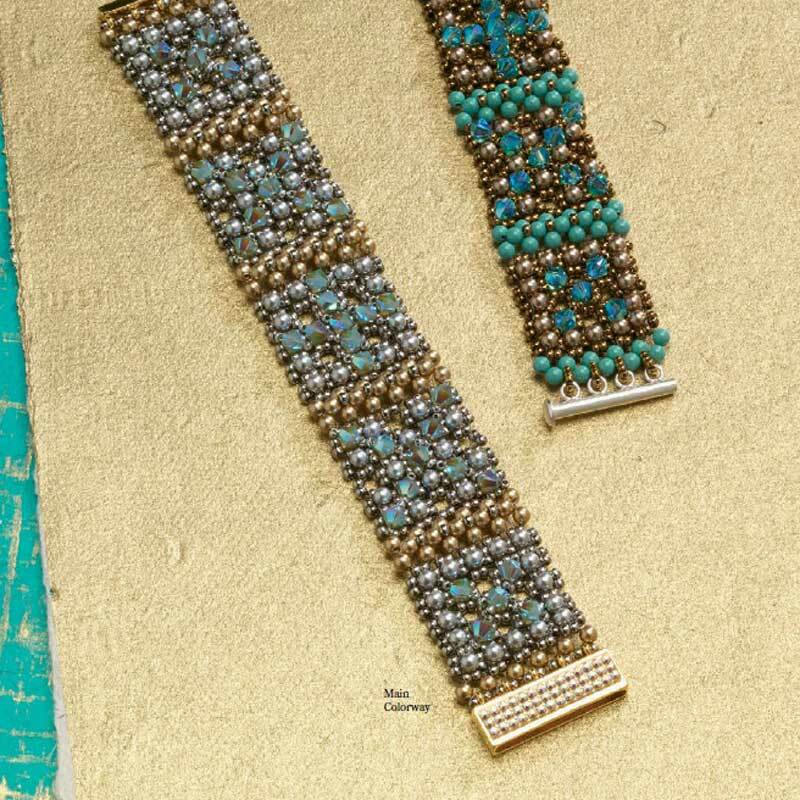 Here we’ve chosen to highlight a handful of projects by former Beadwork Designers of the Year, Laura Andrews, Leslee Frumin, Glenda Paunonen, and Liisa Turunen to jump-start your creativity! 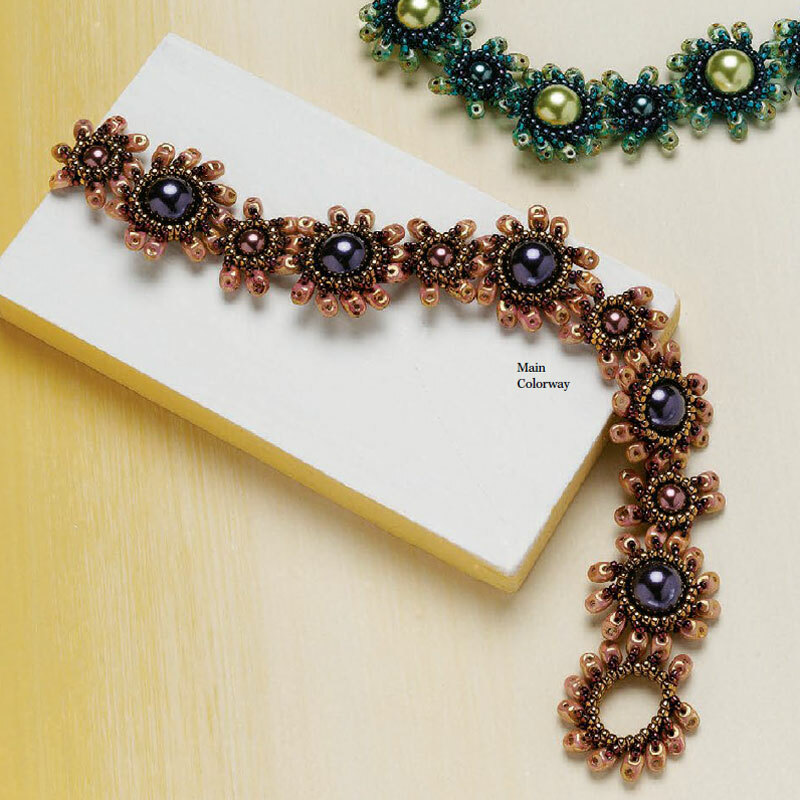 Pearls take center stage in this dressy bracelet, formed by framing burgundy and dark purple crystal pearls with a square stitch variation and fringe, then linking the resulting blossoms together. 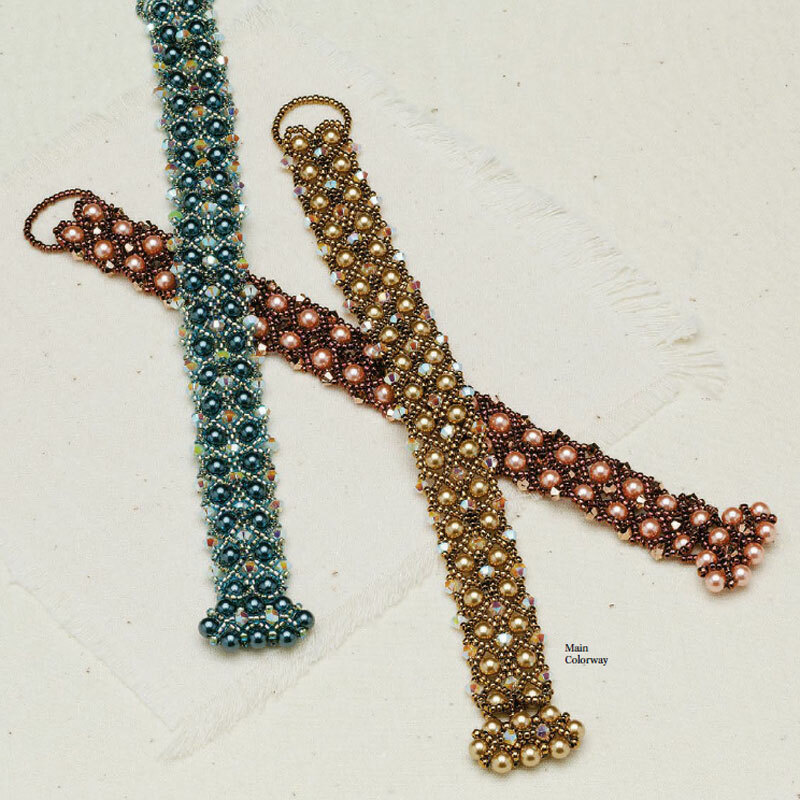 Leslee uses a right-angle weave variation and netting to create this sparkling bracelet with rows of pearl beads accented with seed beads and crystals. This showstopper uses bead embroidery, a brick stitch variation, and right-angle weave to create a pavé look, perfect for any dressy occasion. 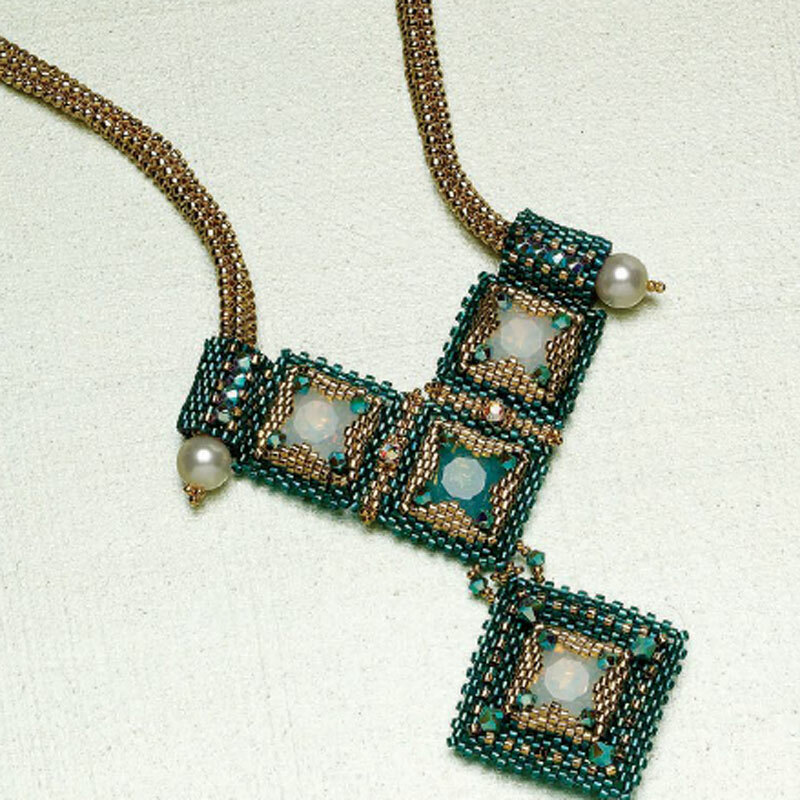 While the bezeled square crystal fancy stones are the star of the show in this piece, the artists show how pearls can add a classy finishing touch on both ends of the herringbone-stitched ropes. 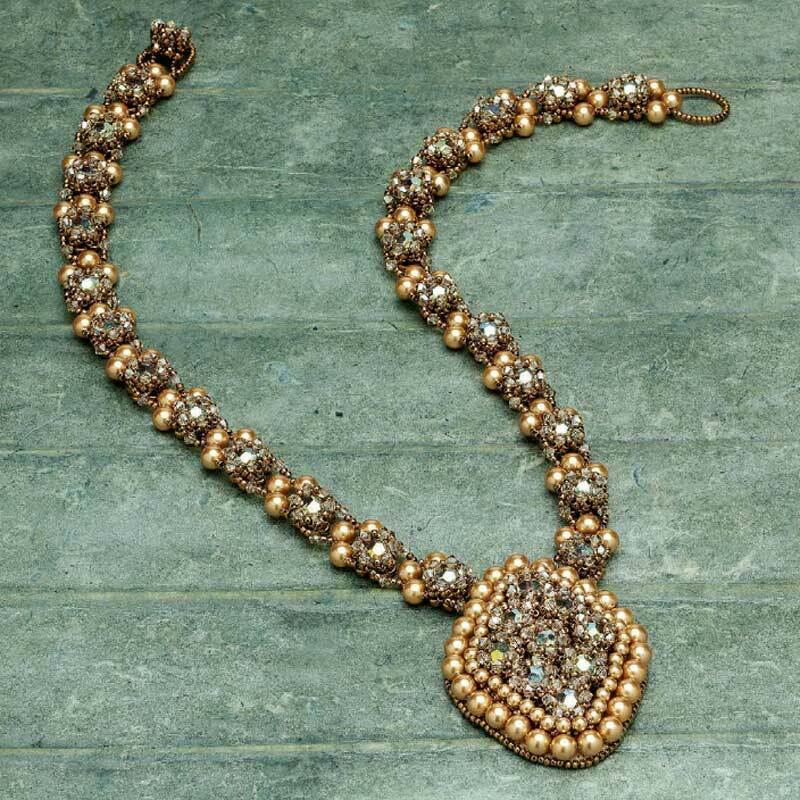 This classic design is created by connecting stitched pearl, crystal, and seed bead components in a gorgeous monochromatic palette. 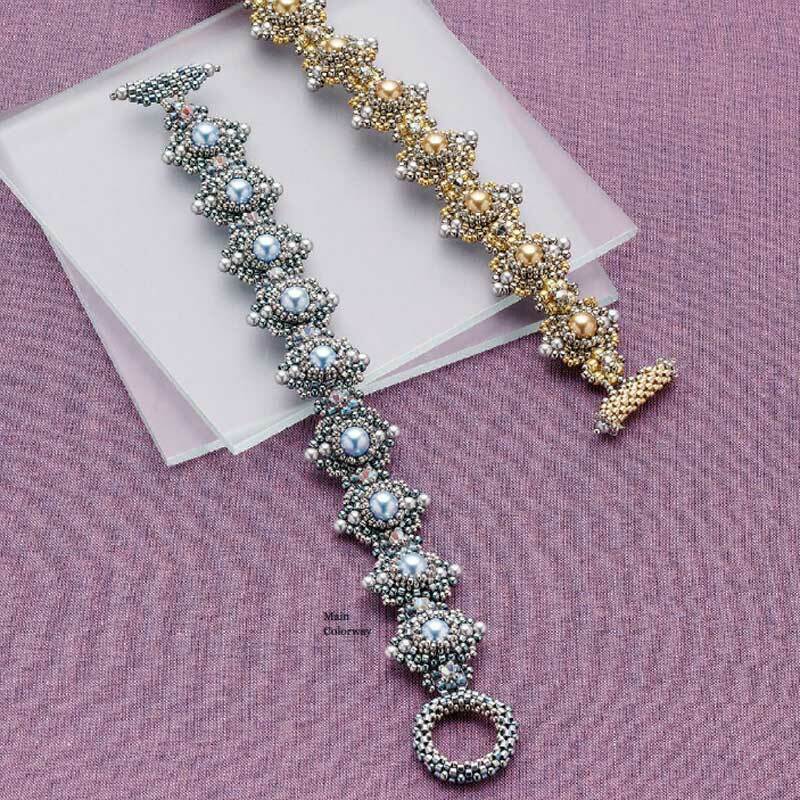 A base of right-angle weave is the perfect palette for crystal pearls and bicones, making this pretty cuff sparkle and shine. 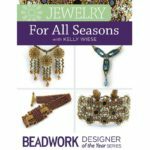 All six pearl projects plus six additional projects using a variety of seed beads, crystals, and shaped beads can be found in the ebook Beadwork Presents: 12 Designer of the Year Projects Using Ladder Stitch, Peyote Stitch, and More.